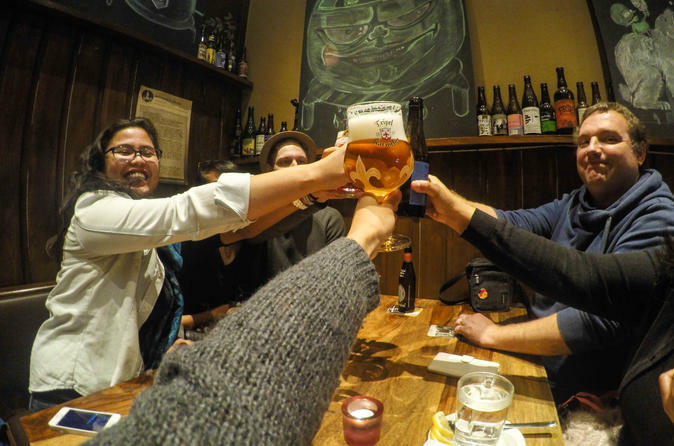 Enjoy the best beer that Antwerp has to offer during your 3 hour private tour with a local guide. Drink like a local and visit some of the best bars the city has to offer. Visit the most famous bars in Antwerp to taste unique local beers during your 3 hour private guided tour. The tour will include approximately 4 or more hip bars, depending on the day of the week. Your local guide will navigate you through your beer tasting experience and inform you about each of the beers tasted. They will also tell the history and share stories about many of the local monuments while on the tour. Depending on the daily availability and your wishes, the trip will end with either a visit to the De Conick museum or one of the local brewers. The host speaks 5 languages, including English, Dutch, French, Italian and Spanish. You may request the one that suits you best. Do not hesitate to request for a personalized experience and feel free to ask questions at any time.